In our day, many people think they can or must live a Christian life with no explicit reference to the organized community of Christ’s disciples. “Christ without the Church” is their watchword. These pages wish to examine the validity of that affirmation. 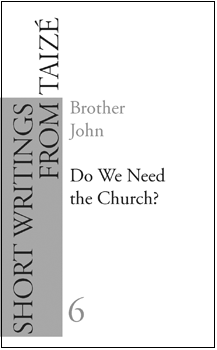 In what way is the Church necessary for the project of Jesus? Was it a historical mistake? Is it merely of relative importance, or is it essential for the content of our faith? If so, how can we make its importance more evident?